DIY Income Investor: High Yield or Dividend Growth? As a DIY Income Investor, should you buy a security that yields a flat 6% (such as a commercial bond or preference share) or should you buy a dividend-growth share that yields 3% but with a dividend growing at 7.5% a year? 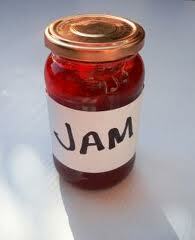 Jam today or jam tomorrow? This was one of the questions raised by a thought-provoking article "Dividend Growth vs. High Yield: Some Surprising Findings" on Seeking Alpha. In year 1 the 6%-yielder yields £/$ 600, in year 2 £/$ 660 (10,600*.06), then £/$ 674, etc. In year 1, the dividend-growth share yields £/$ 300, in year 2 £/$332 ($10,300*.0323), then £/$369, etc. It is not until year 13 that the dividend-growth share begins to pull ahead of the fixed-yield investment in terms of income and not until year 19 until the total income earned begins to exceed that of the the fixed-yield investment. Think about that - it will be nearly 20 years before the dividend-growth share will have produced more income than the fixed-return option. Also, inflation is important - discounting (or the reduction in the real value of future income streams) would tend to favour the current high-yielder over the future high yielder. However, I think that the basic message for income investors is still similar - jam today probably beats jam tomorrow. Surely you need a mix? Unless your investment horizon is only 10 years because you expect to die in that time frame, you need a fair lump of jam today but you also need a stake in jam tomorrow to eventually pull ahead as inflation ravages the value of your fixed interest elements over a decade or so. Yes - and a mix is what I advocate; but this was just a piece to point out that the comparison in yield needs to be considered in your evolving asset allocation.